When I think of this month’s challenge graphic, fancy free comes to mind. This is absolutely one of my favorite inspirations of the year– and our team really rose to the challenge in their bold and fanciful interpretations. Can’t really get better than aqua, hot pink and silver or gold. Look at those old books stacked up (those colors–swoon) or that gilded table setting; not to mention the dress with that bag! Last month’s turnout was stellar, and I hope you will participate again, and bring your friends to this colorful party! I’ve incorporated the colors, butterflies, florals and even books into my piece– and I’ve even upcycled! The craft/art world sadly generates quite a bit of plastic and waste, so I try to reuse as much of the packaging as I can, and recycle what I cannot. Here I have used a glossy cardboard purple-dotted background piece from a selection of paperclips. It is cut from the Gina Marie Cross Stitch rectangle die. My card also features a favored technique you’ve seen me use before with the Altenew Wild Hibiscus florals and butterfly stamped on vellum and, this time, patterned paper, then heat embossed. This set is designed for Mother’s Day, which is coming up soon, so I will be featuring the set in a future post that also uses our challenge graphic. Stay tuned! Where are the books in my design? Well, hidden a bit, but I have cut a strip from Maggie Holmes’ Chasing Dreams paper collection that matches our inspiration graphic perfectly. 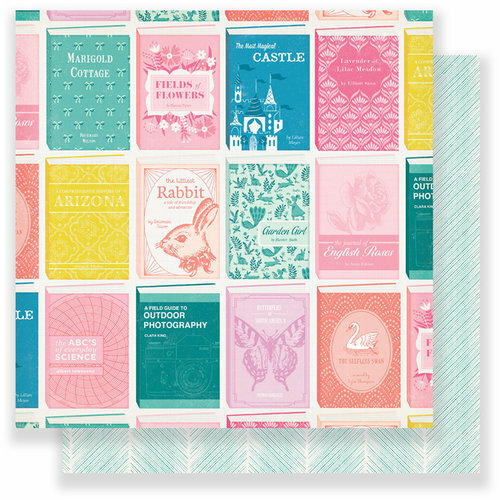 This paper is a line up of vintage books– and all our colors are featured! Finally, I used Waffle Flower’s With Love die for the sentiment, adhering only one corner and popping it up for dimension. You know I love my dimension and texture! The inside is finished with some ombre washi. If you are wondering about the phenomenal background paper– well, sadly it is no longer available. This is truly a one-of-a-kind card because it uses a scrap of old Basic Grey paper. Amy and I horde our Basic Grey, but it comes out every now and again for special cards! I sure do miss that company! 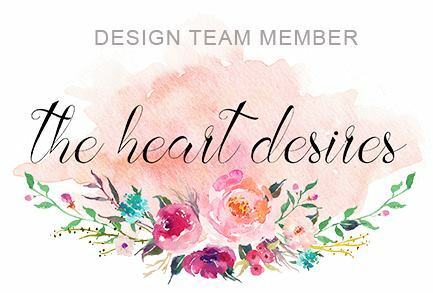 But Tonya’s has many great items from some of your favorite companies– so this month play along, possibly with some new goodies from THD–check out her updated selection! I can’t wait to see how you’re inspired! Hi Kate! It has been a long time since we last “talked”. I know you are a very busy girl, so I understand… but I haven’t gave up expecting your snail mail :). I did a “transversal” reading of your post (I’m not sure that you use this expression… we use it meaning just what you probably already figured out – a fast and incomplete reading), but I was touched with what I read and will fully read it soon. I hadn’t notice the detail of the pattern paper you used in your gorgeous card, it really is adorable… who doesn’t love vintage books? Thank you for your recent visit! I can’t tell you much about my health for now, but I think it might be just regular aging… I sure hope so :).